You can make a difference | M.B. You can make a difference – M.B. It’s time to move these families into a real home. My wonderful friends Sophia Duckor-jones and Patty Fink are fundraising to move refugee families from camps to houses. Any donations would be extremely appreciated, and you can be assured that your money is going to a real, honest cause. 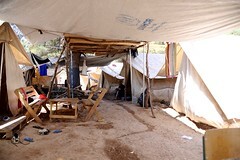 Living conditions at the camp violate human rights and winter is coming! Thank you in advance for your help!